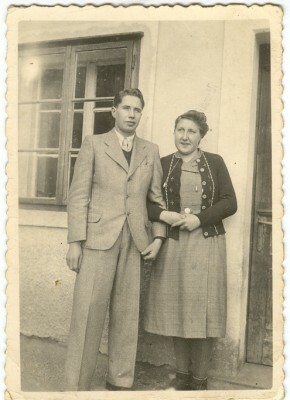 I found the attached photos in my grandfathers belongings. 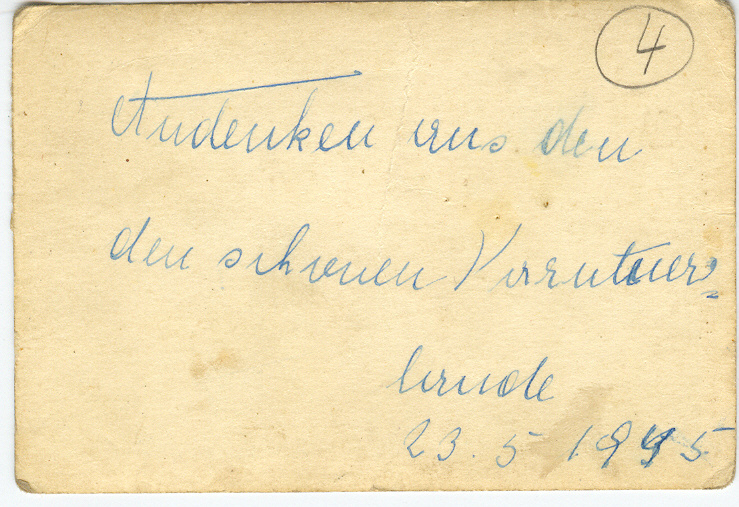 However I am being told that the writing on the back is in German. I wondered if anyone might be able to help me translate them? There are 3 photos altogether. "Andenken aus den schonen Karnteier lande. 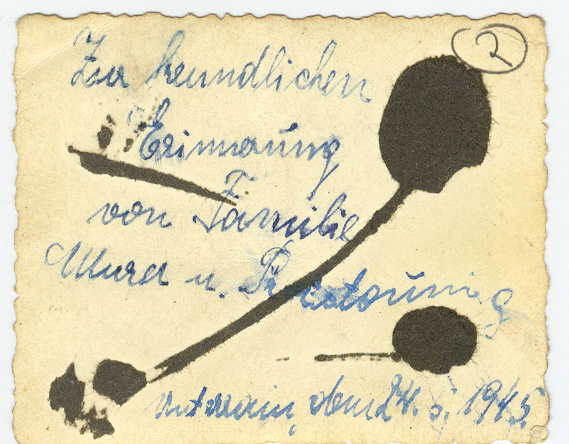 23-5-1945"
It means, "Souvenir from the beautiful Carinthian land. 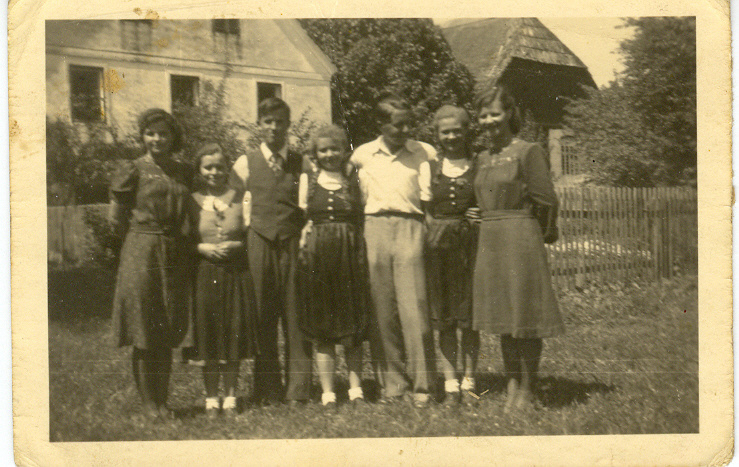 May 23, 1945"
"As a friendly memento of the Mura (?) family and ____. Do you know what the family surname was? Mura or Wura? Too bad the individuals are not named. 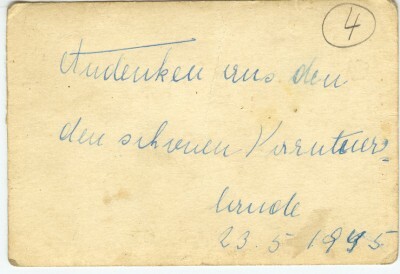 On the back of photo 7 the handwriting has changed to the Suetterlin style which I cannot read. The end of it, however, is two peoples' names, and my best guess at them is "Lilli and Hans." On photo 2 the name of the place is "Unterrain" which is located in Kärnten or Carinthia, Austria. 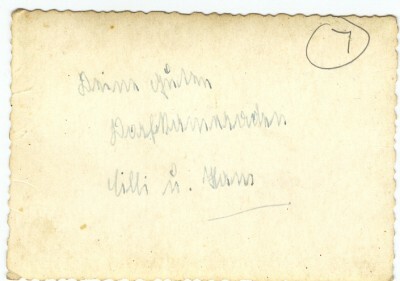 On photo 7 the handwritting says "Deine guten Dorfkameraden Lilli u[nd] Hans" or "Your good village's comrades Lilli and Hans". Oh, that is a lovely word, Dorfkameraden! I like it. However, it is difficult to find a smooth way of translating it into English. If, instead of Dorfkameraden it had said Schulkameraden, you could translate that literally as "school comrades" or use the more familiar word schoolmates. 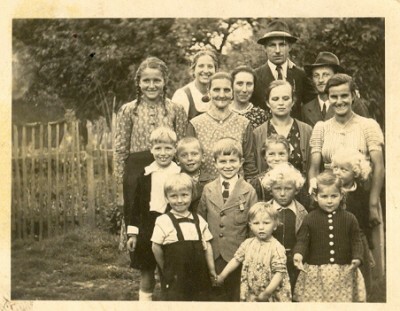 For Sarah, the meaning here of Dorfkameraden is that Lilli, Hans plus whoever received the photograph were all good friends from the same village. One more comment regarding the back of photo 2: it seems that there is a second family name there, written after the Mura (?) name, but I cannot read it. From the number of people in the photo, that does make some sense.